Finding the perfect sedan is comparable to picking out a new phone. In both instances you want something that will be reliable, affordable and has all the features you need. Naturally there are additional accoutrements you can pay extra for, like extra care protection. You can also pick from slightly different models to get the features you need. One sedan that might just be your match is the 2015 Toyota Camry – in stock now in Toronto ON. It has many available features that will add to your driving experience. The 2015 Toyota Camry is a competitive and appealing midsize sedan. It has an attractive exterior, comfortable interior, and great features like the Toyota Display Audio, backup camera, keyless entry and available cloth or leather upholstery. Despite its luxury look and feel, it is very affordable. Even if you choose to only get the standard features, and nothing extra, you will still end up with an impressive sedan. The new Toyota Camry has been completely redesigned for 2015. It has a new exterior design, improved handling and a change in interior with added features. It has a lot to offer while still remaining affordable. The first noticeable difference is the exterior styling. The Camry’s new look shows precise effortless lines and an aggressive grille that stands out from the rest of the vehicle. It has a more sporty look than with previous models. Its design additions make it more aerodynamic and contributes to its impressive handling. The 2015 Camry is much more responsive than the previous edition. It is more composed through turns and curves and at times it will fool you into thinking it really is a sports car. The 2015 Camry also comes with some great technology features to further enhance your experience. The Camry now has steering wheel controls and an easy-to-read instrument panel. It is much more user-friendly than the previous version thanks to the clear blue illumination that makes it more visible at any time of day. The 2015 Toyota Camry also comes with a display audio system that opens up your in car entertainment options. It includes AM/FM radio, a CD player, and Bluetooth connectivity with a compatible device. It also has an optional upgrade that comes with navigation. 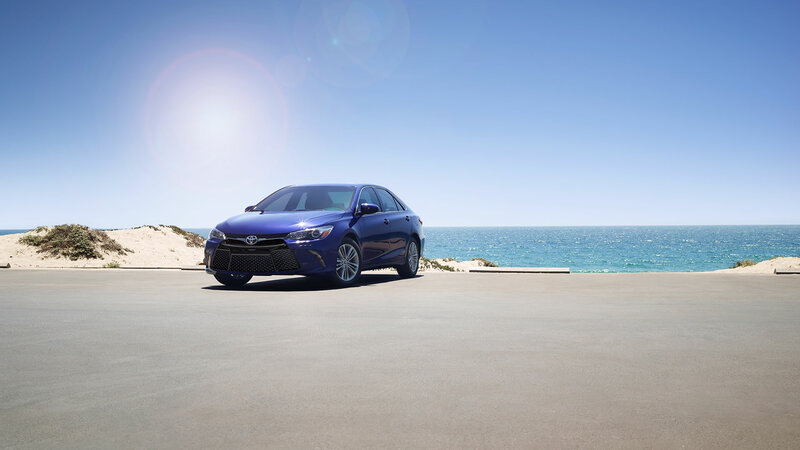 If you are looking for an affordable and reliable midsize sedan with a luxury feel, check out the 2015 Toyota Camry at Toyota Attrell in Toronto On. This vehicle will get you where you need to go in style. While buying a new vehicle can be more stressful than buying a phone, you also don’t get to try before you buy. We suggest you schedule a test drive and get behind the wheel to see what other drivers are already loving about the 2015 Toyota Camry.